but nothing can fill this void in my heart." 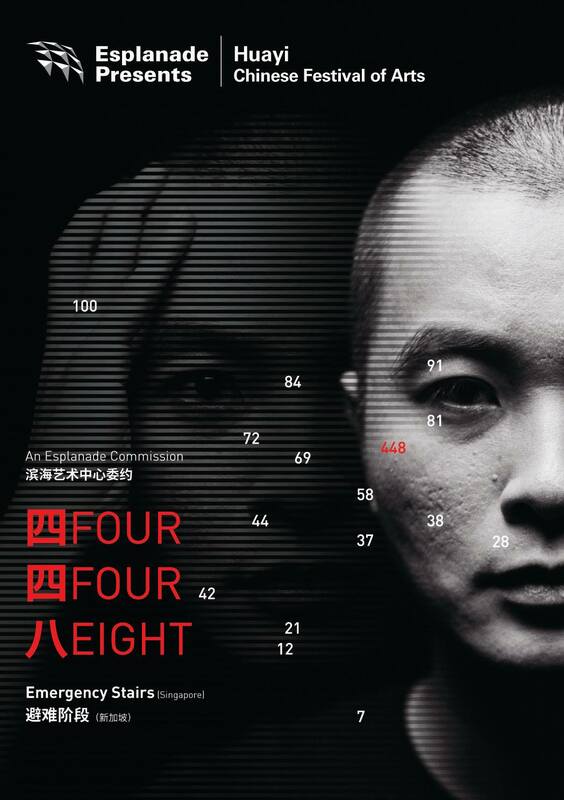 Inspired by British playwright Sarah Kane's last work 4.48 Psychosis, Young Artist Award recipient Liu Xiaoyi presents FOUR FOUR EIGHT, a brand-new work that leads you into a world, a social construct, where every audience member becomes a participant in a space of gathering and camaraderie; in a place of urban loneliness – the bar. Singapore theatre company Emergency Stairs has earned a reputation for boundary-pushing works that generate much discourse among its audiences. Following Offending the Audience in 2017, and Einstein in the Carpark in 2018, FOUR FOUR EIGHT is the third instalment of the company's Post-Dramatic Series. With FOUR FOUR EIGHT, together with award-winning artists lighting designer Lim Woan Wen and sound artist Darren Ng, Liu continues to explore the possibilities of, and challenge the limitations of what constitutes a theatre space. This performance begins long before you step into the bar. Small, deliberate moments will connect you with the artist and his inner world. Through emails and other ephemeral social interactions, you will be drawn into the artist's processes of creation—the impulses, the loneliness, the struggles, and the triumphs... and we invite you to be part of the creation process. Please write to 448@emergencystairs.com with "I want to open the curtains" to get connected, and do remember to attach an image of your ticket.